Welcome to Lundby Toastmasters Club! Lundby Toastmasters Club belongs to the organization Toastmasters International and to District 59 European Toastmasters. The club was founded in March 2005. Meetings take place in Volvo Lundby area and are in English, an opportunity for Volvo employees and others to practice English in a nice atmosphere. We meet on Tuesday lunch (12.05) in even weeks at 12'05 at Gropegårdsgatan 2, Room VLH30, Lundby. Please check up this table for last minutes updates. 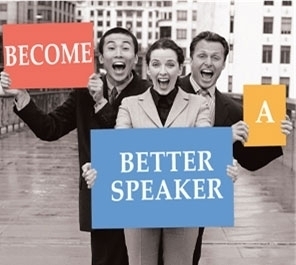 Toastmasters is an effective, enjoyable and affordable way of gaining great communication skills. Your potential is limited only to how many excuses YOU have! Is the most important tool in your toolbox fit for use? The ability to communicate effectively is the most important skill you’re in possession of, whether you're giving speeches, pitching ideas to your boss, or simply sending off an email or leaving a voice message. Good communication skills can be the differentiator that make things go your way. We know how you can become a better communicator. Spend 42 minutes with us and we’ll reveal the secret - join a meeting!